Tradeweb is the largest and most efficient electronic trading platform for the To-Be-Announced (TBA) MBS market with daily executed volumes exceeding $100 billion (FY18). We are the only venue to offer “Round Robin” functionality which enables clients to seamlessly net outstanding TBA-MBS positions, significantly reducing their settlement risk. Additionally, our Specified Pool Platform delivers a flexible, streamlined way to buy and sell MBS CUSIPs and trade consolidated pool inventory from some of the top liquidity providers on the street. 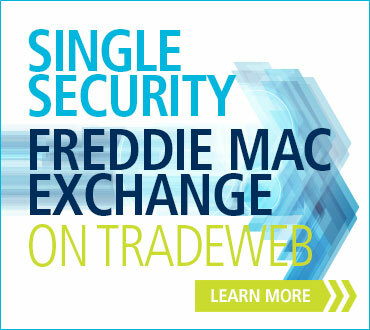 Most recently, we partnered with Freddie Mac to develop an exchange facility for the new MBS Single Security. Through this collaboration, market participants will be able to easily exchange Freddie Mac PCs for the new single security on Tradeweb.